On September 28th, 2015, world leaders met at the UN Headquarters in New York to discuss, among other issues, the mass migration of Syrian and Middle Eastern refugees to Europe. The migration of people from the war torn region of the Middle East has put tremendous strains on European infrastructure, has tested the limits of their foreign policy, and has generated an unprecedented migration crisis. While Europe is bearing most of the brunt of the refugees, other countries like the United States and Brazil have vowed to open their doors to Syrian refugees in the coming years. One of the first speakers at the 70th UN General Assembly was Dilma Rousseff, the president of Brazil. In her speech she noted that, “in a world where products, capital, information, and ideas move freely, it’s absurd to impede the free movement of people,” (translation by author), and noted that Brazil, much like the United States is a nation of immigrants that welcomes people from all colors and creeds.1 Starting in 2013, Brazil has been issuing visas for “humanitarian reasons” to middle eastern refugees.3 But, the law created in order to make the visa process easier for refugees was about to expire earlier this year in 2015. The Brazilian Ministry of Justice decided to extend this provision so that refugees could obtain visas and refugee status at embassies in their home countries and be able to arrive in Brazil with their necessary paperwork. While Brazil has been the most active Latin American country to assist in the refugee crisis, as University of São Paulo professor Oliver Stuenkel points out in a op-ed for the New York Times, many other developing countries, like Brazil, could benefit from highly educated and skilled workers that these migrants represent.4 With such a large population and landmass, absorbing 50,000 people would not disrupt people’s day to day lives, but not all countries are as large as Brazil and can’t physically or financially handle such a large influx of people. Perhaps looking at the refugee crisis as an opportunity to let skilled workers into the economy could act as incentive for smaller Latin American countries to aid in this unprecedented global crisis. Alencastro, Catarina, and Henrique Gomes Batista. "Dilma: 'Ã Absurdo Impedir O Livre TrÃ¢nsito De Pessoas'" O Globo. O Globo, 28 Sept. 2015. Web. 29 Sept. 2015. Barrucho, Luis Guilherme, and Camilla Costa. "Brasil Acolhe Mais Sírios Que Países Na Rota Europeia De Refugiados - BBC Brasil." BBC Brasil. BBC News, 9 Sept. 2015. Web. 30 Sept. 2015. Barrucho, Luis Guilherme. "Brasil Prorroga Regra Que Facilita Concessão De Visto a Refugiados Sírios - BBC Brasil." BBC Brasil. BBC News, 21 Sept. 2015. Web. 30 Sept. 2015. Stuenkel, Oliver. 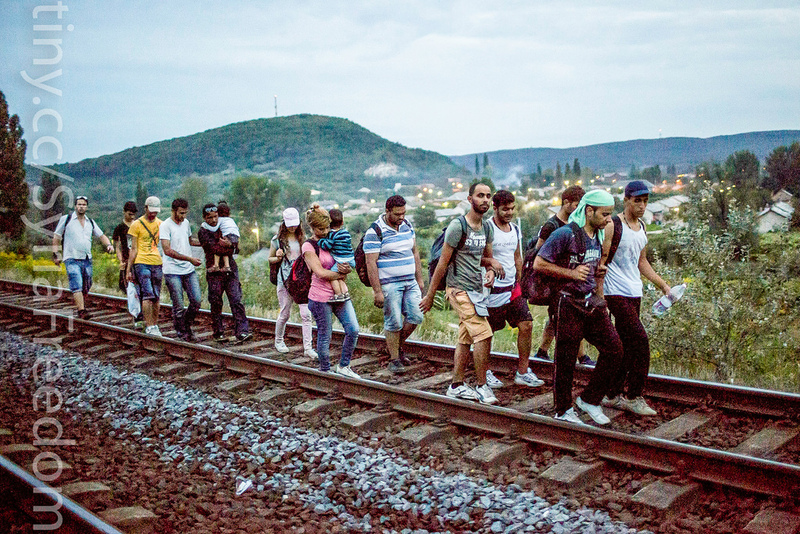 "The Refugee Crisis Presents a Chance for Emerging Countries Like Brazil to Be Players." New York Times. New York Times, 15 Sept. 2015. Web. 30 Sept. 2015. Klein, Dario, and Rafael Romo. "Syrians Resettled in Uruguay: We Want to Go Back - CNN.com." CNN. Cable News Network, 9 Sept. 2015. Web. 30 Sept. 2015.